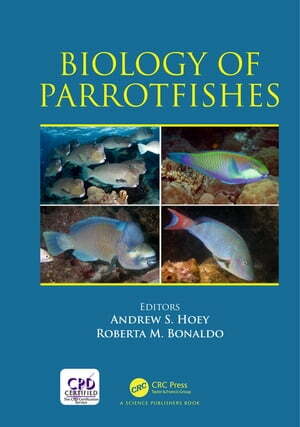 Collins Booksellers - Biology of Parrotfishes by Andrew S. Hoey & Roberta M. Bonaldo, 9781351644358. Buy this book online. Parrotfish are found on almost every coral reef in the world. This ubiquity and uniqueness of their feeding action make them one of the most important groups of fishes within coral reef ecosystems. But why, exactly, are parrotfish so important to reefs? Can the evolution of a particular jaw morphology and feeding action really have had such a large impact on the health and functioning of the world's coral reefs? This book introduces the reader to this fascinating group of fishes (Labridae, Scarinae), from the morphological innovation of a jaw that has the power to bite through solid calcium carbonate, to the threats currently faced by parrotfish populations around the world. It contains new insights into their diet and food processing ability, and lifehistories, and concludes with an overview of emerging and future research directions.